One of my favorite games of all time is Parasite Eve. The story, scary atmosphere, combat, weapons, abilities, everything about it was awesome. So naturally, I was super excited to play the sequel, which I bought off eBay in college. I got the Japanese version because I was studying Japanese and was kinda hoping it would work on my Playstation (of course it didn’t). So I held onto it for years until I finally bought a PS2 while living in Japan. Man, what a let down. The worst part of the game was the awful Resident Evil style movement. The only other game with a sequel almost as inferior is Chrono Cross. Anyway, now that I can read Japanese, I’m thinking of replaying classics like Chrono Trigger and ones I missed like Mother 2 (Earthbound) in its original form. However, figuring out what game is available and in what language is a big chore and often times confusing. For example, the JP version of Chrono Trigger for the DS has both English and Japanese. But apparently, they removed the Japanese in the US version. Yes, they went out of their way to remove something already in the game for the US release. I guess because of the strong yen? Nintendo loves to region lock and everything is locked down except for handhelds up to the DS lite. Unfortunately, that was too consumer-friendly so the newer handhelds such as DSi and 3DS are now region-locked. I guess it makes sense because their last region-free system did terrible (ie, fastest-selling handheld game console of all time). Thankfully, Sony has seen the light as their products starting from the PS3 and PSP are region-free, which means you don’t have to buy one for each region. However, they have really started to lock down digital content on the Vita, a worrying trend. One annoying problem with Sony is that they switched the X and O buttons around for the US? WHY??? Sometimes with a Japanese game on a US console, you have to press X to confirm until you start the game. Then you have to switch to O until you go to save or quit. Then you have to switch back to using X. Argh!!! Even with region free systems, while some games support both Japanese and English, unfortunately for the most part, you still have to import the game to play it in Japanese. Some games have dual audio options but don’t allow changing the text which is bizarre to me. In the end, it’s a big and confusing mess so here’s a list of some games you can play in Japanese WITHOUT having to import it from Japan. If you have any games that have Japanese language option, please let me know! I like to play games in their original language (English games in English) so I’m more interested in games made in Japan that have dual languages. F2P MMO with an option to pay for items. Fans have been clamoring for a US release forever but not a problem for us since we want to practice Japanese! You need to register for a Sega ID and go through all that hassle (or good reading practice if you’re thinking positively). But once you’re signed up, there’s no region lock so just download (takes forever) and play! If you’re a SMT series fan, you should definitely try this free MMORPG. This developer has a bunch of Visual Novels on Android and iOS for free (yay!). I’m not sure what’s in it for them as I’ve played one (briefly) and haven’t seen any ads or anything of the sort and the reviews look good. More free visual novels. You can download TRUE REMEMBRANCE and 送電塔のミメイ for your PC. And also Imaginary Range Ep.2. This is a free interactive comic with various mini-games and items hidden inside the comic. You can change the language to Japanese by changing your phone’s language to Japanese. If your phone doesn’t have Japanese as an option (mine didn’t), you can install this app to force it. Not sure about the iOS version. Let me know if you’ve tried have it to verify. Another free visual novel. Haven’t tried it yet. Will update with more details when I get around to it. Some indie, free horror games. Brrr. Scary. Strange, surreal game but not a lot of text so might want to skip. 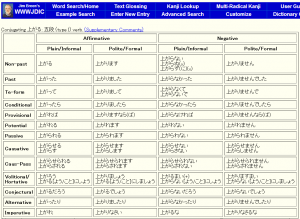 The language is shown as supporting both text and audio in Japanese. In the PC version, text and audio can be changed to Japanese in settings. 3DS as well though it is region-locked. Haven’t confirmed other platforms. The text will be in Japanese if your console’s language is set to Japanese. You can select the language for voices between English and Japanese. 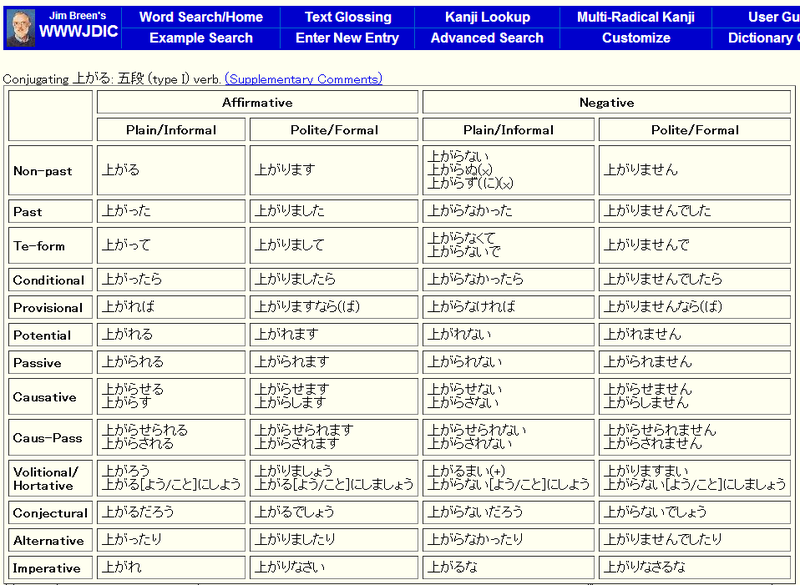 Allows choosing between English and Japanese voices, as well as, a larger list of languages for the game text. I just started playing and it looks good for the price. My first annoyance is that ship has too many screen transitions so it takes forever to get around. The PC version (not Xbox 360) has both Japanese voice and text options. I only played the very beginning. The graphics are pretty good but the dialogue seems slightly out of synch. Might be just a config issue. You can probably get it for a great price if you wait for a steam sale. Called 勇者30 and 勇者30 Second on the PSP. I got the first one on sale for $5.99. The Japanese text uses too much Hiragana for my tastes (no spoken dialogue) but it is strangely entertaining. I’ve only tested the two but most of the Ninja Gaiden series seems to be dual-language. Need to set your console’s language to Japanese. Need to set your console’s language to Japanese. This kind of game is better in English anyway given the setting and genre but I listed it anyway. Have not tried 2 and 3 yet. I have the PS3 version of Soul Calibur IV and it has full Japanese support. According to a comment, the same goes for Soul Calibur V.
*For XBox 360, according to play-asia, only the US version is region free. So don’t buy the Japanese or Asian version and expect it to work on a US console. Has Japanese audio/text if the console’s language is set to Japanese. This game apparently has Japanese audio and 4 options for the text: English, Japanese, Chinese, and Korean. The limited edition is cheap on Amazon so might be worth checking out. Continuing with fighting games, Tekken 6 and Tekken Tag Tournament 2 has Japanese subtitles if you set your console’s language to Japanese at least for PS3. (Not sure about XBox 360 version though it’s likely the same). Lets you change both the text and audio to Japanese via options. *For XBox 360, according to play-asia, only the US version is region free. So once again, avoid the Japanese version unless you have a Japanese console. This game has options to change both the voice and text. Sega in generally has been awesome in this regard. Thanks, Sega!! This game doesn’t have full Japanese support but it does allow you to change the voice and subtitles to Japanese for the cut-scenes. The option to change subtitles is at least better than most other titles. I only have the PS3 version so not sure about the 360 version. This game can be configured to run in Japanese by right-clicking and selecting “Properties” from your steam library. You will then see a tab labeled “Language” where you can set it to Japanese. Steam shows this game to have Japanese for both the interface and full audio. The Wii is region locked but if you have one already for the US-region, this game apparently has both Japanese audio and text. Though the 3DS is region-locked, if you already own one anyway, you might want to pick this up for Japanese practice as it apparently supports 7 languages. However, it doesn’t use a lot of Kanji as it’s targeted for kids. I almost didn’t want to list this on principle because it’s the ONLY region-locked PS3 game. I mean, like the ONLY ONE. It’s lame that they decided to use region-lock but the small consolation is that they didn’t feel scared about putting full Japanese support thanks to the region lock. The content is identical across regions so as long as you buy the game to match your console, it will have full Japanese support. I was able to get Japanese on several Square Enix titles by changing my Android’s phone language to Japanese including Final Fantasy 5 and Final Fantasy Dimensions. (Chaos Ring also has a language option right in the game). The same might be the case for iOS but I don’t have one to test. Let me know if you happen to have a copy of any Square Enix games on iOS. If your Android phone doesn’t have Japanese as an option (mine didn’t), you can install this app to force it. Interface labeled as supporting Japanese. Appears to be text only. Digital releases that are download-only don’t come with any physical packaging and so require almost no distribution costs. So we should be able to buy all sorts of stuff from Japan right? After all, it’s just virtual 0s and 1s that speed across intercontinental fibre optic cables. Not so fast. Turns out companies still want to control distribution channels across regions, virtual or not. So here’s the breakdown of the usual jumbled mess of various policies and schemes. Here are the list of games that have some degree of Japanese support. Steam now has a very helpful matrix that tells you whether the game’s interface, audio, and subtitles are in a certain language so make sure to check for full Japanese support by looking at both the interface and full audio. What’s baffling are games that were made in Japan like Ys I & II Chronicles+ have absolutely zero Japanese support (though you can hack some of them by messing with some files). Shame on you, XSEED. While the consoles are region-free, your PSN account is not. 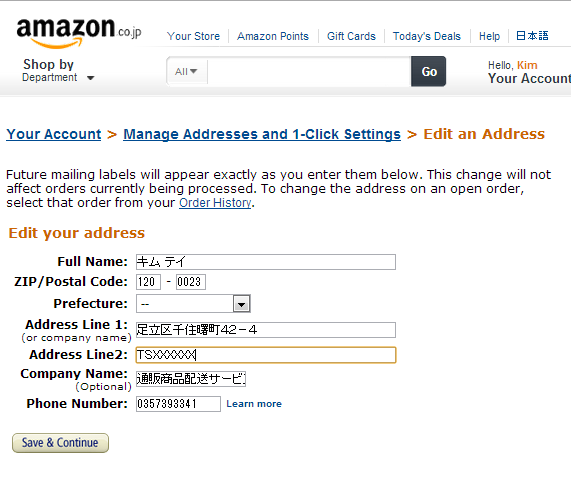 You must select Japan as your region when creating your PSN account and it cannot be changed. You also cannot buy games on the Japanese store without a Japanese credit card or Japanese PSN cards. You can buy the latter on various sites but expect to pay extra for the service. The one big exception is the PS Vita which Sony has started to really lock down via updates. What you purchase from PSN has to match the account on the Vita and you can only switch accounts by doing a system reset on the machine. It’s really just unnecessary hassle which you can get around so I really don’t see the point of all this. There are also some imports you can buy directly from the US store! The advantage of region-lock means that if you have a Japanese 3ds or Wii U, you can buy Japanese games using a US credit card. Buyer beware though, Nintendo’s DRM policy is apparently very strict and you can only have ONE copy of the game on ONE system. So you know how you can play PSN classics on either the PS3, PSP, or PS Vita? So like, wouldn’t it be cool if you can buy a digital copy of Mother 2 on the virtual console and play it on the 3ds? Fuhgeddaboudit. Learning a language is very similar to exercise in many ways. The best type of study is the one that you’ll do regularly. Which is why finding things you enjoy doing in Japanese is so important. So here’s a list of some of my favorite stuff in Japanese. Things like 鍋パ with friends is a blast. Japanese people actually stop and listen to you when you talk. Something which seems far too rare here in the States. My favorite Japanese artist is 椎名林檎. I also love the band 東京事変. Please get back together and make more songs! I’m also amazed at the collaborator efforts of amateurs online such as Vocaloid and 東方. タンポポ – Oh man, this film is so awesome. Just watch it. Sanjuro – My favorite Akira Kurosawa film. The Great Happiness Space – Not really a Japanese movie but still a fascinating (and disturbing) documentary. Is it just me or do Japanese movies all seem like either art films or crazy horror? Dragon Ball – I first read this in Korean back when manga was virtually non-existent in the US. I didn’t really know what was going on but it was still awesome (by the way, my dream job was to work at a 만화방). I also watched Dragon Ball Z in English on Adult Swim (Vegeta’s voice was pretty good). I have since read parts of it again in Japanese, and it’s still good, after all these years. 攻殻機動隊(Ghost in The Shell) Stand Alone Complex – My favorite anime of all time. 逆転検事２ – The story is brilliant. MG3 Snake Eater – Metal Gear Solid is my favorite in the series but Mei Ling’s English voice was annoying. Hoping to try it in Japanese sometime. What’s on your favorite list?